I think it’s safe to say that almost all of us are familiar with the mischievous and mercurial Peter Pan, the boy wonder who never seems to grow up. Nonetheless, after all these years, several questions may still beg to be answered. How did he get his ability to fly? Is he fully human? And how can one uncover his secret to eternal youth? All the mystery surrounding Peter Pan and Neverland will be unravelled in this live-action film, directed by Joe Wright of Atonement (2007) and Pride & Prejudice (2005). Watch as this fantastical film opens up a lost world from our childhood into a breathtaking landscape of magic and mystery. This new film first depicts Peter (played by Levi Miller) as a mischievous 12-year-old orphan at the bleak Lambeth Home for Boys, in London. One starry night, Peter is spirited off to Neverland, the majestic realm where swashbucklers, native warriors and enchanted creatures roam free. But an evil and frightful pirate is threatening the peace of this wondrous world. Peter’s arrival is a timely gift to Neverland in this battle of life and death, of good versus evil. 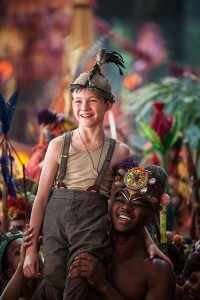 Acquiring the help of newfound allies, Peter sets off on an amazing adventure to uncover the truth about his mother who had abandoned him, and to discover his rightful place in Neverland. If you remember the Peter Pan tale, Captain Hook is the villainous pirate who regards the protagonist as the perpetual thorn in his side. In this incarnation, Peter’s nemesis is the ruthless Blackbeard (portrayed by Hugh Jackman), who is notorious for kidnapping children to mine the powerful but increasingly scarce pixie dust. A prophecy tells of only one person who can defeat Blackbeard — a boy who can fly. What has this villain got to do with Hook? 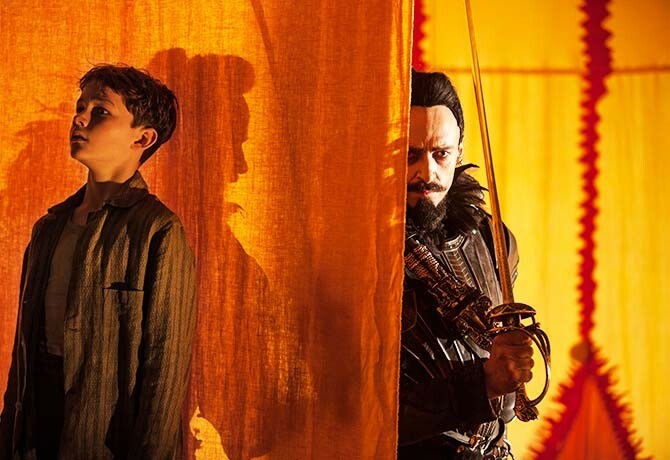 What’s different in Pan, as compared to previous films, is that Hook is an ally of Peter. James Hook (Garrett Hedlund of Tron Legacy) is being held captive as a pixie dust miner in Blackbeard’s camp. After Hook recognises Peter’s unique abilities, they stage a daring escape deep into the heart of Neverland. Along the way, they encounter the female warrior Tiger Lily (Rooney Mara of The Girl with the Dragon Tattoo) who joins them in their quest to overthrow Blackbeard. It will be a treat for Peter Pan fans to find out how Peter receives his ability to fly, and how things turn out for Hook. The latter is a question I didn’t even know I had — and now I’m eager to see its answer revealed. The old nautical legends of deadly sirens see an interesting take here. In Pan, not only are the mermaids beautiful, but they can also sting predators with their luminous, electrified tails. Instead of Tick-Tock the crocodile (from the Disney version of Peter Pan), these Never-Crocs are massive and lethal creatures lurking just beyond the Mermaid Lagoon. The jungles and valleys of Neverland are swarming with these colourful and giant winged beasts. But don’t underestimate them — these birds of prey are ever-ready to pounce.